In this case, the Plaintiff was the Regional Director of the Defendant’s Toronto Region and she had held this title for 10 years. The Plaintiff was 60 years old and she had more than 30 years of service.The Defendant terminated the Plaintiff and offered her a package of approximately 12 months that was rejected. The Defendant then paid the Plaintiff her statutory entitlements under the Ontario Employment Standards Act, 2000. Further, age is an impediment. In Hussain v. Suzuki Canada Ltd.,  O.J. No. 6355, L.B. 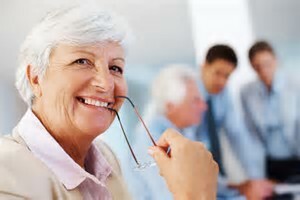 Roberts J. observed that a plaintiff in his 60s would undoubtedly face “extremely stiff competition with much younger applicants for the same kind of employment”. Such a plaintiff would be significantly disadvantaged because of his age when competing with younger employees. Similarly, in Leeming v. IBM Canada Ltd.,  O.J. No. 1020, Perell J. noted that the plaintiff who was 60 years of age did not have particularly bright prospects for re-employment “competing with younger, more recently trained and less likely expensive talent”. I accept that the plaintiff is at a competitive disadvantage given her age in the broader job market and having virtually no work experience outside that of the defendant, a not for profit organization. I accept the plaintiff’s submission that competition for senior managerial roles is very high in the Greater Toronto area and much more difficult for a person the age of the plaintiff, notwithstanding her undoubted competence and experience. Justice O’Marra then held that there was no dispute over the Plaintiff’s attempts to mitigate and the 24 months was appropriate. This case confirms that older and long service employees will get the high end of common law damages at 24 months and more in certain circumstances. Employers would be well advised to provide assistance including outplacement services and job vacancies to assist these employees to secure alternate employment in order to avoid such lengthy damage awards.